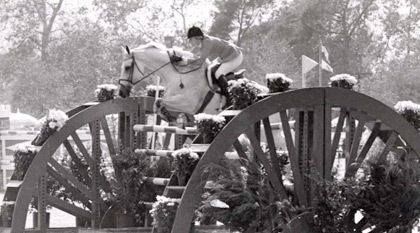 Cynthia Hankins was a junior equitation star, having placed in the top ten of several equitation finals before winning the American Horse Show Association Medal Finals in 1975. Cynthia has spent much of her professional career traveling between the United States and France, where she rode and trained at a top breeding farm. Many of her students have gone on to become successful professionals within the hunter/jumper industry. Cynthia holds a USEF R-rated judge's license in both Hunter and Hunter Seat Equitation, has judged numerous shows in the U.S. and France, and several equitation finals including the 2011 American Society for the Prevention of Cruelty to Animals Maclay Finals at the National Horse Show in Lexington, KY. In addition to judging and training, Cynthia shares her knowledge and expertise with riders as a top clinician and in the articles she contributes to publications such as The Chronicle of the Horse and Practical Horseman. 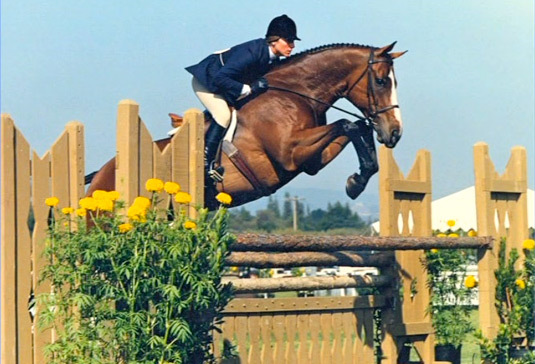 Cynthia is also featured in the Get Connected USEF Tests 1-19 video we offer for sale on our site. Click here to watch a preview and purchase. View Part 2 of this series, Form Follows Function Over Fences here. In this topic, the second in a series, Cynthia Hankins, shares with us her insight into some of the common bad habits riders inadvertently acquire - this time over fences. In addition to pointing out these habitual position flaws, Cynthia demonstrates the correct, classical form stamped by the American Hunter/Jumper Forward Riding System. Make sure to watch Cynthia’s first video in this series, Form Follows Function. Here are some quick tips for safely riding without stirrups, properly changing stirrup length and making girth adjustments. For another stirrup tip try Bernie’s helpful tidbit by clicking here.